How to get traffic to your website is one of the biggest challenges in optimizing any e-commerce business. Every website wants more traffic than they have today. It is especially true for e-commerce sites. More website traffic equal more sales and a higher Google search ranking. When our clients ask us how to get more website traffic to their e-commerce site, these are the steps we lay out for them. Believe it or not, your business name has a lot to do with your success. Your name should be relatable, catchy and easy to remember. Avoid names that can be misspelled or are close to other existing brands. You want your name to be easily remembered. Keep the number of syllables in the name under 4. Think of all the companies you use. I will bet you that the majority are two syllable names. Always think about how the name will translate to a URL. You don’t want users having to work hard to figure out how to find you. Your company name plays a big part in getting traffic to your website. Before we even discuss marketing with our clients, we look at their brand. Your brand is what consumers think about when they hear your name. A brand is a major step in differentiating yourself from your competitors. The brand will give you the path to engagement with your audience. It will provide the voice that speaks to your customer. Companies look at how startup brands use social media to generate traffic with envy. When you dig deeper, you find that their brand elements connected with their users who wanted to engage with the brand. Doing a great job of engaging on social media can build a lot of traffic to your website. Creating a website is the first step to developing your business. A site is like a store. It needs to reflect and support your brand personality. It also needs to lead visitors towards making a purchase. Even if you have the best e-commerce websites, sustainable growth isn’t guaranteed unless you have a steady flow of traffic to your website. Therefore, acquiring visits is the first step to drive your users through the conversion funnel. There are many ways a site can increase visitors. Some methods are paid while others are free. Depending on your product, you have a multitude of paid options. Adwords is the biggest platform for running paid ads on the Google search network. You have many options from text ads to display ads to product listing ads and Google Shopping ads. These are all keyword driven pay per click ads. So do your homework on the high-value keywords are essential to success here. Next is Facebook with several advertising options from pay per click to video and boosted posts. The benefit of Facebook is that you build your ads to target a specific audience. 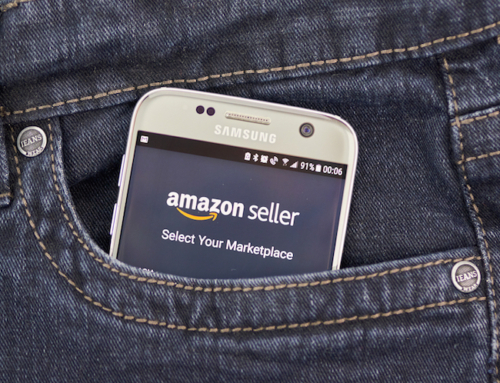 If you are in the consumer products business, you can always run ads on Amazon with Amazon Marketing Services. Although this is keyword driven, there are subtle nuances to how this CPC system works. You can choose to run retargeting ads also on the Google ad network or on networks like Criteo or Steelhouse. These ads trigger off of existing visitors to your website. These types of ads have a much higher conversion rate, but the key to success here is having strong traffic. Then there are platforms like Taboola or Outbrain for running native ads. These are more content driven ads, and you need to pay close attention to how these are working. The options are plentiful on the paid side. However, you need to test each option and pay attention to your returns to make sure you are optimizing your ROI. This can get very expensive very quickly. Search engine optimization is the ideal way for having relevant traffic to your site at almost zero cost. It mainly involves keyword optimization, the use of engagement metrics and links from trustworthy sites. As search engines are becoming smarter, SEO is becoming more of an art than science. You need to focus on high-quality content that satisfies your customer’s needs to rank higher in the search results for your best keywords. Investing in SEO means that your site would populate the top of search engine results for a longer period. SEO, however, is an ongoing process and while you can do it on your own, it is best to hire a professional to help you ace it. Content marketing requires time, energy and an excellent understanding of your users. Before you begin to write an article for your blog you need to do some in-depth research. You want to find out what problems users are trying to solve relative to your business or expertise. In addition to posting your blogs, you want to get links from other blogs to your site. These are called backlinks, and you acquire them by getting others to write about your blog or you posting articles on other blogs. This also forms affiliated relationships to increase the traffic to both sites. Through your blog, you can not only provide answers to their concerns but also lead them towards a solution existing on your e-commerce site. Video marketing is the new generation alternative to TV advertisements. Engaging all your senses, it has a bigger impact than written content. There are plenty of places to post your videos. Facebook live to Youtube to your own site and other sites like Vevo. It might seem that the videos cost more than other forms of content, but the ROI and traffic generated by these videos to make them worth the money. The key to successful videos is to make your videos engaging. You are asking people to sit for 5 to 15 minutes to listen to you. Respect their time. Social media marketing is a vital part of your overall marketing plan. This is the channel that is most effective for engaging with your users in a dialog. You can also invest in social media paid advertisements as well. Or, simply use the power of highly engaging and relevant content to bring people to your website. E-mail is a very effective tool for conversions and retention of your users. The problem is that you have to build your list first. Buying lists is never a good idea. It is much more effective to give something of value to a visitor to your site in exchange for their email. Once you build your list, you can provide incentives to get your users to tell their friends about your site. The most important part of the email is the subject line. The subject line gets the user to open the email. If you cant get them to open the email, then what is inside doesn’t matter. The objective of bringing increased traffic to your website is to get users into your conversion funnel. So, make sure you are making a great first impression. Don’t focus on generating temporary traffic, but focus on the sustainable growth of your site.